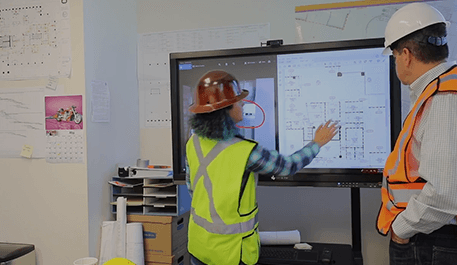 Interactive smart screens inspire creativity and collaboration. Inspire the extraordinary in your team and elevate your meetings to creative collaboration sessions. Encourage teamwork with easy collaboration, screen sharing and video conferencing. Annotate, draw and markup with a simple touch. A powerful Intel® i7 PC, impact resistant glass and a heavy-duty stand. 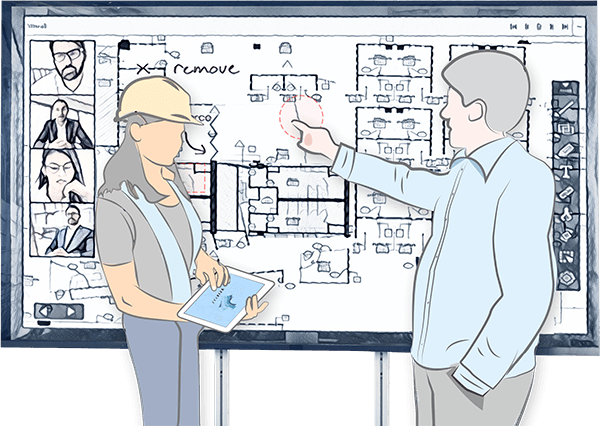 Pinch, touch and swipe to design your creation, on our large touch screen computer monitor, then share it and work collectively, right from the SmartScreen. This giant, interactive, touch-computer and larger-than-life display make it easy to build, share and collaborate, even if you’re not in the same location. You can even screen mirror your device to share information. 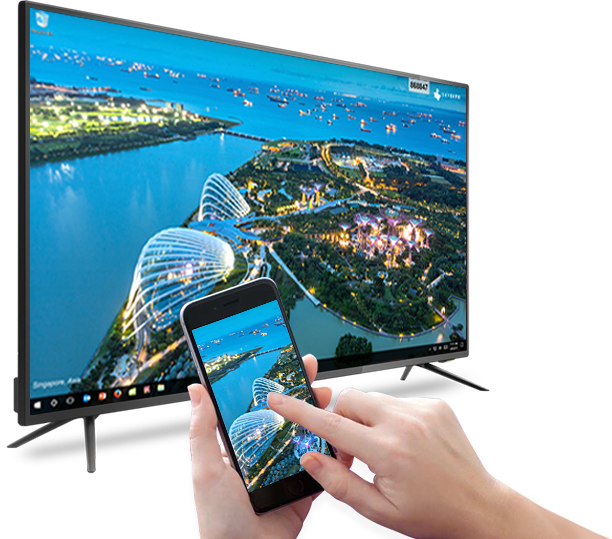 SKYSITE’s SmartScreens let you easily screen mirror external devices to our large touch screen monitor in three easy steps. After downloading the screen sharing app, you can share from your PC, Mac, iOS or Android device. All you need to do is open the screen share app, connect your device to the SmartScreen and share! Your project will stand out and be ready for team collaboration. SmartScreen owners start sharing your screens now. Install the mobile screen sharing app here.